(Newser) – Sotheby's says it will be auctioning off a set of natural pearls that once belonged to the famed—or infamous—French queen Marie Antoinette, and that haven't been seen in public for centuries. The sale of "Royal Jewels From the Bourbon-Parma Family" is set to take place in Geneva on Nov. 12, per the AP. Sotheby's says Marie Antoinette, who was guillotined during the French Revolution, was often portrayed wearing pearls, which the auction house says were as prized as diamonds in the late 18th century. 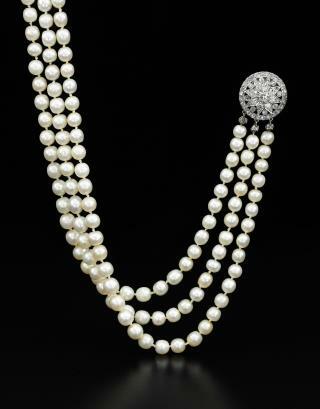 Announcing the sale Wednesday, the auction house said the pearls haven't been seen in public in 200 years. 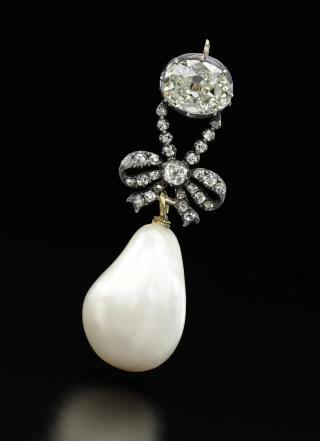 The collection includes one piece with a diamond pendant and natural pearl that's estimated to fetch up to $2 million. A Sotheby's international specialist says each jewel is "absolutely imbued with history." The earrings look like something from the 1928 Collection I have. Those photos really surprised me. The pearls in the earrings don't match but one matches the pendant perfectly. Assuming they're all about the same size, the perfect teardrop should have gone into the pendant while the imperfect ones should have gone into the earrings. 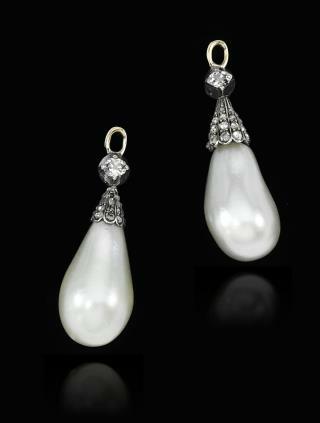 Announcing the sale Wednesday, the auction house said the pearls haven't been seen in public in 200 years. We didn't have photography back then. So how do we know these belonged to M/A?